Autism has many definitions over the century. A lot of families has been affected by it and is having a very hard time managing it. The most precise and simple definition of autism that can be used in the household is that it is a mental condition since early childhood characterized by the difficulty in communicating and creating relationships with other people, that is according to www.webmd.com/brain/autism/default.htm. Autism can be managed at home but since it affects the communication part, there has to be an established way of communicating with the person to make home care effective. With proper guidance and management, people who have autism can live like normal individuals. Since it appears at a young age, there are signs and symptoms that can be noted for early detection. Obvious problems in developing non-verbal and verbal communication skills. Inability to establish a friendly relationship with kids of the same age. Disinterest in showing happiness and interest with others. Inability to start a conversation. Echolalia- repeating word or words that they have heard in the past. Lack of interest in kids play or activity. Noticeable body rocking and hand flaps. People who are experiencing autism, young and old, need to have somebody who can accompany them all the time. While they are young, they have to be spoon-fed just to make sure that their nutritional needs are met. They prefer or think in routine even with the food that they eat. If they like a certain food, like bread perhaps, they will ask for it every time they eat. The caregiver of a child who is suffering from autism has to have techniques on how to convince them to eat healthy foods. The number one priority in their care is safety and the number one intervention that has to be established is communication. Their inability to communicate puts them in so many risks. Just like pain for example, because of their inability of expressing verbally, family members may not figure out immediately how to provide relief. FRONTIER HEALTH CARE SERVICES LLC offers Home Health Care in Reynoldsburg, Ohio for medical and non-medical needs. We believe that managing the illness in a familiar environment is more effective. That is why we provide competent home caregivers. For autism cases, we have non-medical services for overall help and assistance and medical services to manage symptoms. We understand the need to have a guarantee that the people to whom we entrust our loved ones have to be well-trained, experienced, and knowledgeable. 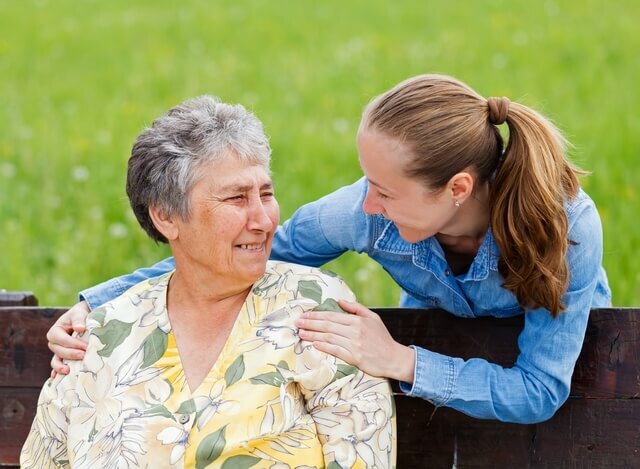 We are very confident with our screened and best-qualified caregivers. FRONTIER HEALTH CARE SERVICES LLC believes that care should be cost-effective and available to all. We also offer Medical Staffing services for healthcare professionals. If interested, please comment below. If you know of somebody who is struggling with the care of their loved ones who has autism at home, you can share this post with them. This entry was posted in Autism and tagged Autism, Health Aide, Health Care, Health Care Services, Home Health Care, homecare, Medical Staffing. Bookmark the permalink.